NASA has a certain “flare” when it comes to safety on the launch pad. Those flares are called hydrogen burn-off igniters — which resemble celebratory sparklers — and were successfully used to mitigate risk to a launch vehicle for space shuttle missions. 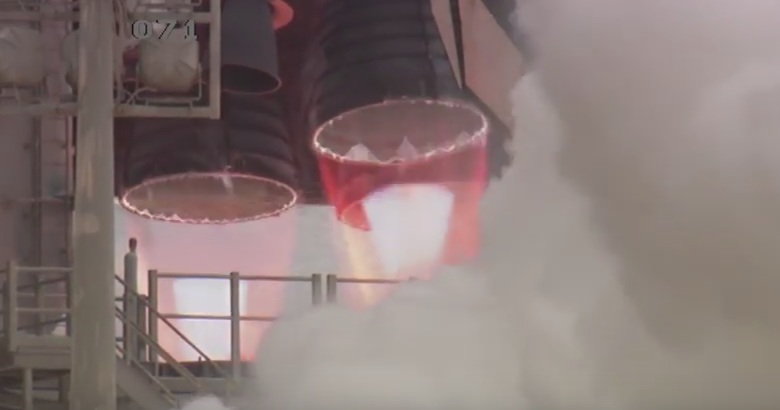 A team of engineers is testing hydrogen burn-off igniters for NASA’s Space Launch System at NASA’s Marshall Space Flight Center in Huntsville, Alabama, where the program is managed for the agency. SLS will be the most powerful launch vehicle ever built. It is designed to be sustainable and evolve to carry crew and cargo on deep space missions, including an asteroid placed in lunar orbit, and ultimately to Mars.